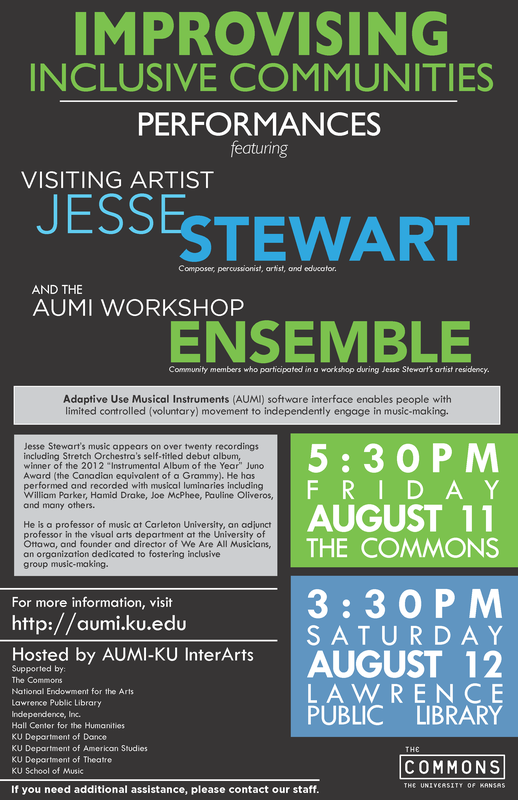 Jesse Stewart, international perf​ormer, composer, artist, and founder of We Are All Musicians (organization dedicated to inclusive community music making) will facilitate all-ability music workshops, culminating in two community performances using the Adaptive Use Musical Instrument (AUMI) during the week of August 7th-12th. Registration is now closed for performers, but the performances and several other events will be open to the public. Stewart's artist residency is part of an international symposium and made possible by grants from the National Endowment for the Arts and The Commons at KU, as well as support from community partners Independence, Inc. and the Lawrence Public Library Sound + Vision Studio, the School of Music and Departments of American Studies, Dance, and Theater. 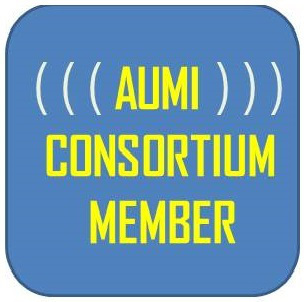 Download AUMI for PC or Mac - Free! Download AUMI iPad v. 1.1.6 Now Available and Free! 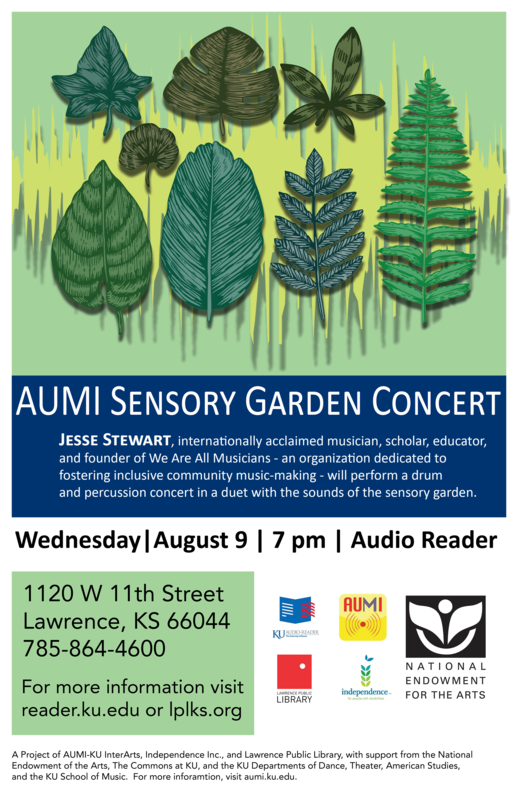 Thank you to KU Audio-Reader, the Lawrence Public Library, National Endowment for the Arts, and Independence, Inc. for making Jesse Stewart's concert in the Sensory Garden a huge success!